Create the life and love you married for. 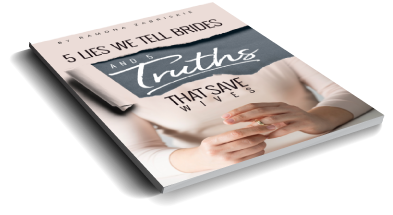 Ramona reveals the five misconceptions that may have gotten your marriage started on less-than perfect footing, as well as the five wife-saving truths that will turn things around in a thrilling way! FREE LIVE CALL WITH RAMONA! Let Ramona help you fix your real-wife frustrations in her “Throw Me a WifeSaver” live group call. Ask your question live, submit it anonymously, or just listen in and learn! Complete the form below to receive a personal invite: it’s free! Give us your “real-wife” question or quandry and then listen to the WifeSavers podcast and watch the WifeSavers Instagram account for Ramona’s answer!